One of the most common sleep disorders among adults, insomnia affects an estimated 30% or more of the population. However, many people suffer from short-term insomnia, which resolves itself after a few days or weeks. More damaging is chronic insomnia, which can last for months or years. 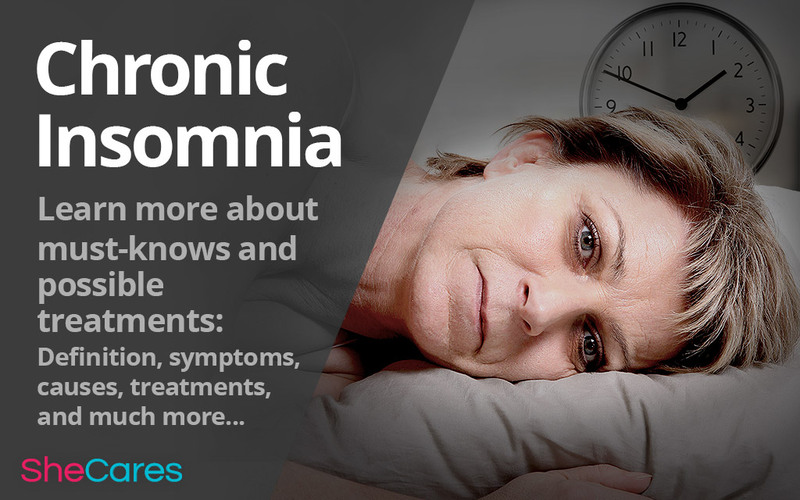 To learn more about chronic insomnia, read on. Insomnia is defined by doctors as a condition that causes difficulty with sleep that can be expressed as difficulty falling asleep, difficulty staying asleep throughout the night, or waking earlier than intended. Because insomnia can vary greatly in how severe it is, how long it lasts, and how often it occurs, there are different classifications for different types. Acute insomnia is a condition that is short-term, usually related to a severely stressful or traumatic life event that happened recently, and nearly always is resolved within a few days to a few weeks. Some doctors will not officially diagnose acute insomnia, since it lasts for so little time. Chronic insomnia, on the other hand, lasts longer. In most cases, to receive an official diagnosis of chronic insomnia, the sleep difficulty must have been present for at least three months. It must also be present at least three nights per week in order to receive an official diagnosis. This type of long-term and constant sleep interruption can cause significant problems in mental functioning. Insomnia is generally separated into two different categories based on its causes: primary and secondary insomnia. It is insomnia on its own, as its own disorder. In other words, it is insomnia that has not been caused by bad habits. In the case of primary insomnia, the most likely cause is stress, followed by changes in routine such as travel or beginning work on a new shift. Primary insomnia can clear up quickly once the problem has been rectified, or it can last for years. Secondary insomnia can also be a result of certain medications or other drugs. Prescribed medications may cause sleep interruptions, but other common substances like alcohol, tobacco, and in particular caffeine are common culprits of insomnia. Treating secondary insomnia involves treating the underlying condition, which may be simple or more difficult depending on the illness causing the insomnia. Treating primary chronic insomnia; however, is usually not straightforward. Often, those who suffer from insomnia go to a doctor hoping for a medical intervention like sleeping pills. While sleeping pills are available for insomnia sufferers - and many doctors will write a prescription for them - it is important to realize that medications may lose their effectiveness over time as the body builds up a resistance. The main type of therapy for insomnia is cognitive behavioral therapy (CBT), which focuses on both thoughts and behavior. With a therapist, a patient can try to examine what negative thoughts they have about sleep that may be influencing their ability to fall sleep, as well as develop some behavioral techniques that can help them retrain their bodies to adjust to the right circadian rhythm. Knowing about chronic insomnia is the first step to learning how to manage and treat it. For other methods to help manage insomnia and improve sleep, read about these herbal sleeping pills and remedies.